Some of the district’s art teachers were able to gather for a group photo. 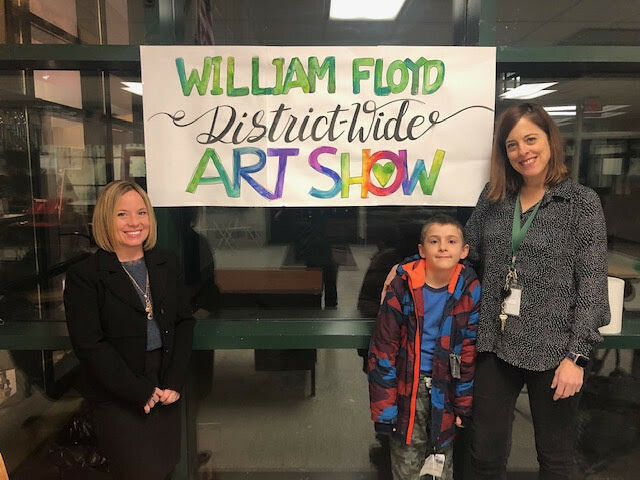 The William Floyd School District Art Department recently welcomed members of the William Floyd community to the annual districtwide art show, in which student artwork from each school K-12 was displayed at a reception held at William Floyd High School. At the event, which was attended by more than 400 people, National Art Honor Society students served refreshments and provided fun activities for the younger children such as face painting and games. The district’s art teachers also worked collaboratively to make this a memorable night for the student-artists and their families.